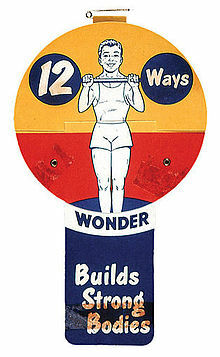 Thinly sliced baloney, Wonder Bread, concurring opinions and the Supreme Court « Hercules and the umpire. 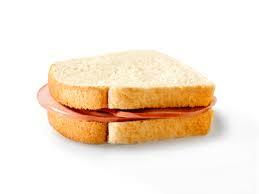 I like my baloney thinly sliced. † [F]rom 1801 through 1940, the overall percentage of cases with at least one concurring opinion was 1.7%, and the median Term had a rate of 1.4%. Remarkably, there was no Term in which the rate of concurrences was as high as 15%, and the concurrence rate exceeded 10% during only five Terms (1805, 1837, 1842, 1847, 1856). In fact, thirty-six years had no concurrences at all, and in seventy-two years (more than half the total), the number of concurrences was one or fewer. Id. at 776 (footnotes omitted). ‡ From 1941 to the present, the picture is altogether different. . . . The rate of concurrences grew to 11% in 1941 and then to 16% in 1942. From that point, it has never fallen below 10%, and indeed it has been below 20% in only two years (1943 and 1944). The overall rate of concurrences is 37%, and in the median Term, it is 38%. Id. at 780 (footnotes omitted). Just because we agree in the result . . . and because no immediately important public issue is involved by our different approaches in reaching the same legal result, it is at once interesting and profitable to discuss the underlying jurisprudential problem. And so I venture to make some observations on your opinion, I hope in the same spirit and for the same academic purpose as I would were I writing a piece as a professor in the Harvard Law Review. In my view, Frankfurther (and others like him, such as Professor Sunstein) are mistaken when they assert that more “law review articles” in the form of competiting opinions in the same case arriving at the same conclusion, but taking different paths, is a good thing. On the contrary, I think it is a bad thing. Pretty straight forward, right? Judges aren’t politicians even when they run for a judicial office, so Florida can keep them from personally soliciting money in order to promote an ethical judiciary in substance and in appearance. The great number of concurring opinions, most of which resemble thinly slice baloney, do nothing but confuse federal trial judges and federal practitioners who care far less about law review articles than they do about the real cases in which Supreme Court opinions must be applied. In short, the explosion of concurring opinions proves that many of the Justices have forgotten who are the main consumers of the Court’s work product. **This post does not address the utility or propriety of dissenting opinions. That is an entirely different package of baloney. ***Unfortunately, the article sits behind a pay wall for now. How do you think we feel? Except in plain-vanilla cases, litigating in federal district court is playing United States Reports Roulette. You may have precedent exactly on point, but there is a one-in-three chance that that the judge will simply ignore it, and a five-in-six chance that the Court of Appeals won’t fix it when he does. I would generally agree with you. Yet, in some instances there may be a fundamental difference between voting for the opinion in a case versus voting for the result, with a concurrence allowing a justice to do the latter but not the former. But think of the exciting suspense we provide, and at so little cost. I don’t disagree that in some instances a concurring opinion might be necessary. But, in my view, those are far and few between IF the otherwise concurring judges are willing to sublimate their slightly different views to the best interests of the consumers of the opinions. All the best. So, Judge, after reading the Court’s Elonis opinion, if you had to decide if recklessness was a sufficient mens rea to support a conviction under 18 U.S.C. 875(c) how would you instruct the jury? Would you give any consideration to Justice Alito’s concurring opinion (finding that recklessness suffices) even though the majority of the Court doesn’t decide that issue? I’m moderately ok with concurrences as long as everyone is generally on the bandwagon. Yes they’re a pain but at least you have some semblance of what the heck is supposed to happen. The ones I despise are pluralities. Rather than waste everyone’s time by being confusing, the Court should just dismiss the certiorari as improvidently granted and let the lower opinion stand. That’s why we have different circuits: they should be the hair splitters, not the Supreme Court. The practice of concurring opinions forgets one of the primary reasons for a high court (to assure a uniform interpretation of the law) and for published opinions (to give guidance to litigants, lawyers, and trial judges as to the rules). It’s not just concurring opinions, it’s the occasional general test or holding that leaves key parts of the issue to be resolved later. For example, the GPS case from several years ago. The Supreme Court found that the Fourth Amendment applied to GPS but left open the issue of whether the automobile exception might apply to placing a GPS device on an automobile. Or Crawford, holding that there was this thing called a testimonial statement that was at the core of the Confrontation Clause, but that the Supreme Court was not ready to define what qualified as a testimonial statement just yet (and still haven’t). When the rules are blurred, it becomes harder for attorneys to give competent advice to clients or assess what is a fair offer in a case because nobody knows how strong the case is or what might happen on appeal. Plurality opinions are usually accompanied by lots of concurring opinions and are even better at fostering confusion. Two of my favorites: Albright v. Oliver, 510 US 266 (1994) and Chavez v. Martinez, 538 US 760 (2003). That all depends on what criteria one uses to measure the court and the metric on chooses to analyze that criteria. For example, Gallup has been tracking SCOTUS since 1972 and at best the results are equivocal. My own view is that academics like the current system because it flatters them. They can feel at some tangential level a part of the conversation and they get an ego boost when the court cites one of their law review articles. Nevertheless, if it can be shown the the current system hurts, it can’t really be shown that it helps either. And I share RGK’s concern that it has made the court more elitist. One of the gaps between the Supreme Court and lower courts in this area is that the Justices assume that lower court judges understand the Marks test for identifying which opinion is controlling. To the Justices, a non-controlling concurrence can’t cause any confusion because no one could think it is controlling. But it turns out that a lot of lower court judges aren’t that familiar with the Marks test, so they look at a divided opinion and see something quite different from what the Justices see. Thanks for the clarification. But, I think your last sentence is illustrative of the real world practical problem. You write: “But it turns out that a lot of lower court judges aren’t that familiar with the Marks test, so they look at a divided opinion and see something quite different from what the Justices see.” What the Justices see and what we see is no doubt a function of their brilliance, but it also a confounding problem for many of us in the hurly burly world in which trial judges and practitioners live. Orin, what do you and the Justices “see” when applying the Marks narrowest grounds test to the divided, plurality, opinion in Williams v. Illinois, 132 S.Ct. 2221 (2012) — a case that doesn’t contain a “narrowest opinion”? And what should a lower court see? Well, just to clarify, the Judge’s post here deals with concurring opinions generally, whereas the Marks test is about plurality opinions, so apparently my comment about plurality opinions got everyone all confused, or at least as confused as I am. But like criminallawscholar I’d be happy to learn Prof. Kerr’s opinion on what, if anything, Albright or Chavez held. The former is usually cited for the proposition that due process does not require probable cause to prosecute, but maybe the 4th amendment does. I certainly disagree that that’s Albright’s holding, but I’d be very interested in anyone else’s take. I don’t think the Marks test provides the clarity Orin thinks it does. The recent Zivotofsky case is illustrative. What is a person supposed to make of Justice Breyer’s joining the majority opinion then writing a concurrence that says he’d rather not decide the case at all. What the hell is that (pardon my French) under the Marks test? Does that makes Thomas’s vote the fifth vote? And if so then which is “narrower”: Thomas’s concurrence or the majority opinion? God if I know. There is excellent point that it should not take a “test” to figure out what SCOTUS is saying–they should just say it “in plain English”. And if they can’t say it maybe its better not to take the case at all. Of course academics love this type of thing because they can write lots of words about it and thus justify tenure decisions. But I don’t think it serves the court well. Breyer joined the majority opinion, so the majority opinion has five votes for being a correct statement of the law. Breyer’s concurrence on a jurisdictional question does not necessarily undermine that holding. The problem with Marks is defining the narrowest basis when the different opinions suggest wildly different facts or tests as controlling. Thanks for the link, but at 56 pages I might not get to a detailed reading for a while. If I were running things (heaven forbid) the rule would be that plurality opinions don’t settle anything and don’t constitute precedent, but of course are helpful in the sense that they obviously identify and explain a problematic area of law which presumably the SCOTUS will resolve in due course in an appropriate case. I agree that the Marks test just confuses things. Confusing things should be left to me. But based on the Marks test, I would say it’s pretty clear that the opinion of the SCOTUS in Albright was Justice Souter’s concurrence, which if I’m reading correctly said the case didn’t really present the due process issue the court dealt with in its plurality opinion. It would seem you couldn’t get much more “narrow” than an opinion that denies the issue is present in the first place. A concurrence (in a majority or plurality opinion) is very helpful for authors of future SCOTUS briefs. They provide great insight into a justice’s opinion on particular legal issues. In so doing, they provide a roadmap for brief writers to tailor their arguments so that a majority of the Court is willing to agree on a particular rule of law. I am going to chicken out. Your question is specific (and sharp) enough that if I addressed it I fear that I might subsequently be required to recuse myself. Since I handle a lot of criminal cases, I decline to answer your good question. But, I can provide a hint about my tentative thinking. Take a look at Farmer v. Brennan, 511 U.S. 825 (1994) and the question of “deliberate indifference” in the context of subjective versus objective intent. This isn’t entirely correct, or fair, for a couple reasons. First, it just isn’t so that the Justices assume everyone understands Marks, because every time they write about it (in Nichols, or Grutter), they decline to apply it themselves and note that the lower courts find it baffling. Second, even the lower-court judges who are very familiar with the Marks test divide on what it means. The D.C. Circuit writes the best stuff on Marks, and they have one camp of judges that take a very orthodox view of Marks (i.e., ignoring dissents, is there an opinion whose grounds for the result are a logical subset of the other opinions in the majority), and another camp that believes Marks is about identifying a median view between concurring opinions and dissenters. A few weeks ago, Judge Kavanaugh wrote an opinion for a unanimous panel in which he claimed that Shady Grove couldn’t possibly contain a Marks rule because the dissenters failed to offer their view on the question the majority decided, rendering it impossible for him to determine, as between the various opinions that concurred in the judgment, which Justices stood in the middle of the Court. I suspect you’d say he’s being blatantly unfaithful to Marks, whereas I’d say his reading of Marks is arguable but wrong. But whatever the case, unorthodox readings of Marks are extremely common and will persist until the Court actually applies Marks to one of its precedents. In Williams, as I recall, Thomas’s opinion really wasn’t a logical subset of the plurality, nor was the plurality a subset of his. So, no Marks rule can be gleaned from Williams and Williams is binding only on its facts. Isn’t Thomas’s opinion that hearsay must be sufficiently formal before the declarant can be deemed a witness within the meaning of the confrontation clause narrower than (and subsumed within) the plurality’s much broader primary purpose test — a test that applies to both formal and informal hearsay? With true respect, that is a “bootstrap” justification. If more Justices would sublimate their personal agendas there need be no ambiguity for a concurrence to clarify. That makes no sense tmm. If the court lacks jurisdiction then in has no power to hear the case and if it has no power to hear the case then everything else is moot. What Bryer said, in effect, is that he thinks the court has no power to hear the case but that since that argument has been foreclosed to him as a practical matter he might as well join the majority. So what the left hand has given the right hand has taken away because jurisdictional questions always come /first/. So I don’t see any cogent way to claim that Breyer vote means /anything/ for precedential purposes. Except the political question doctrine is not jurisdictional in the strict sense. The Supreme Court has the authority to decide the case (as it is a case or controversy) but it declines to exercise the authority because it believes that it is the type of issue that the Framers would have preferred that the courts leave to the other branches. So you have an opinion saying that we should not have taken this case, but — since we have — I agree with the opinion of the Court that the President has exclusive power over the recognition of countries and this law unconstitutionally invades that authority. I think the correct way to read Breyer’s opinion is that he thinks the case is nonjusticiable, but that he isn’t really voting for that view. If he were actually voting for nonjusticiability, he shouldn’t be concurring in the judgment affirming the D.C. Circuit, but rather dissenting and calling for a vacatur. Which he actually did in Zifotofsky I. Great blog!Do you have aany hints for aspiring writers?